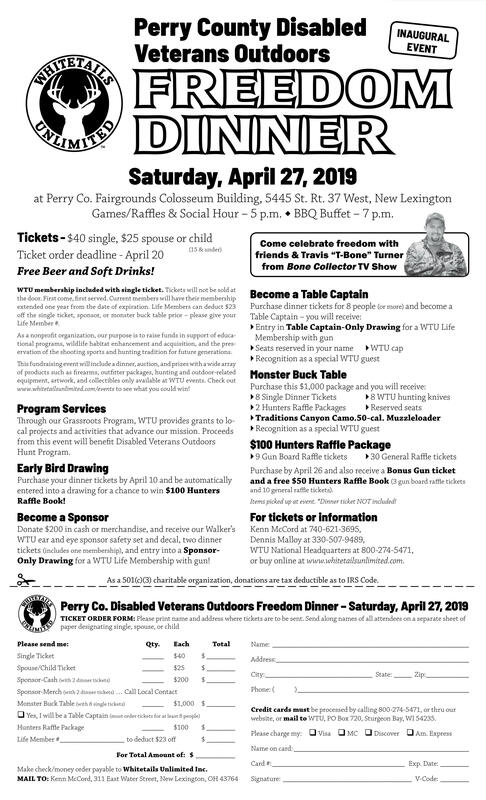 The Perry County Ohio Disabled Veterans Outdoors and Whitetails Unlimited are hosting their inaugural Freedom Dinner on Saturday, April 27, 2019 from 5:00 p.m. to 11:00 p.m. at the Perry County Fairgrounds Coliseum - New Lexington, Ohio. 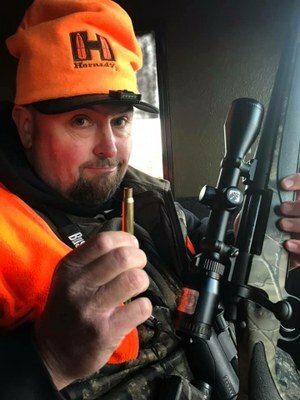 Proceeds to benefit Disabled Veterans Outdoors Hunt Program. Click HERE to view/download the flyer/ticket order form (legal size).